I've been creating these 4" x 4" Flip Book Albums since 2007! Today I'm sharing a one I created with the eBrush, Spectrum Noir Markers and Teresa Collins papers, dies and embossing folders. You can find a original tutorial here from 2007, when I first created a tutorial for these fun albums. Using a Foam Brush, apply DecoArt Matte Medium to chipboard and adhere card stock. Next, adhere patter paper to the covers as shown. Using the eBrush, Spectrum Noir Adapter and Markers, spray the inside of the embossing folder. Place White card stock inside folder, close and lightly press down with your fingers to transfer the inked embossing folder pattern to your card stock. This is a wonderful way to get extra mileage out of your embossing folders to created your own background papers. Repeat process with remaining White card stock, be sure to clean the embossing folder when done. Adhere pattern paper and printed card stock to the card stock album pieces. Using a Binding Machine, bind your album. 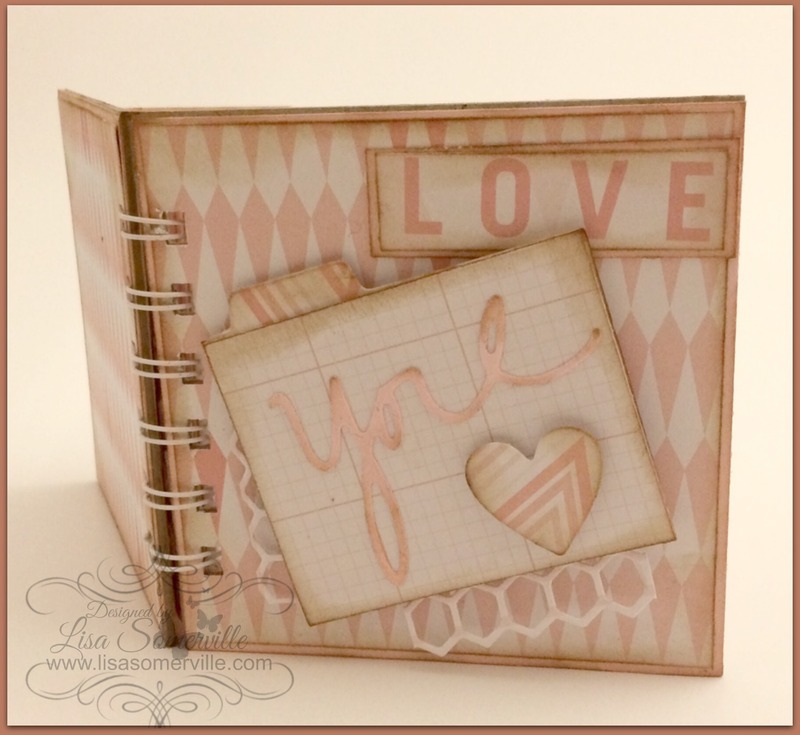 Using the Cut'n'Boss and Therese Collins Dies, die cut the dies from card stock and pattern paper as desired. Use the eBrush and Spectrum Noir Markers to add additional depth to the die cut pieces. Decorate and embellish your Album as desired.